Listen Technologies commercial grade audio experience combined with Audio Everywhere's superior technology created the "perfect storm". Audio Everywhere from Listen Technologies is the first Wi-Fi solution for assistive listening that runs on a venue's existing network, is simple to setup and use, and is extremely affordable - making it the ideal solution to increase inclusion for a variety of settings. ListenTALK communication platform is introduced to the market. 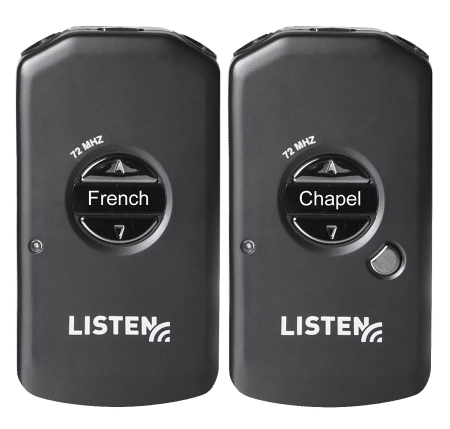 The ListenTALK Transceiver is the first product of its kind that both transmits and receives audio - making it ideal for all 2-way communication needs. Listen Technologies has changed the perception of IR. When used with the advanced iDSP IR receiver our new IR products offer twice the coverage and range of traditional IR ensuring the best end-to-end assistive listening experience. 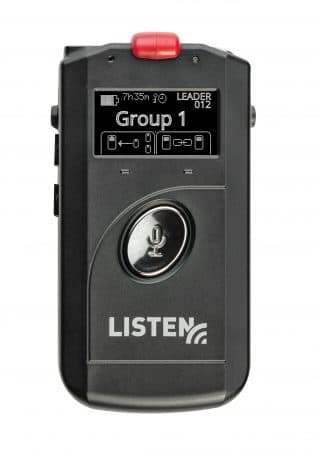 Listen Technologies brought to market a Wi-Fi-based system for personal listening allowing end-users the ability to download an app and connect the TV audio on their smartphone. Listen Technologies introduced new iDSP (Intelligent Digital Signal Processing) receivers. iDSP is the new generation of assistive listening receivers, revolutionizing RF sound quality with advanced DSP SQ™, available in 150, 72, & 216 MHz models. Listen Technologies partners with Ampetronic and launched a new Hearing Loop solution to become one of the first companies to support all the leading assistive listening technologies: RF, IR, and Hearing Loop. ListenPoint, a new family of affordable amplification solutions, is introduced to bring clear, consistent, and practical “Listen Technologies quality” audio to meeting rooms and classrooms. With a continued passion for innovation, Listen Technologies launched a new line of stationary IR solutions and a new family of RF products that deliver assistive listening and language interpretation solutions with an even greater range of options and capabilities worldwide. Russ Gentner, Keldon Paxman, Cory Schaeffer, and Kelli Lundgren jump into the assistive listening market with two innovative products that were among the first to offer built-in LCD displays, 57 channels, SmartCharge™ charging circuitry, and outstanding audio quality.